You’re here at my site because you are worried about your child. Will he be taken away from you? Is his future ruined? No, your child’s future can still be bright. I can help your family get through this trying time. If your son or daughter has been arrested, you are now dealing with a host of challenges you probably were not expecting. Determining which attorney will defend your child is a difficult but vitally important decision. Please know that if you retain Boston Criminal Defense Attorney Steven J. Topazio, your child’s case will be handled with care, compassion and discretion. Boston Criminal Defense Attorney Steven J. Topazio provides experienced representation to juveniles and adults throughout Boston who are facing criminal charges. At our office, clients receive quality representation with a focus on service as well as results. We take time to listen to clients, investigate the facts of their case and devise a comprehensive approach to case management that has resulted in many favorable results on behalf of clients throughout Massachusetts. As you know, the effect of a criminal offense can be extremely damaging to a child’s future academic and career opportunities. Explaining a conviction for a violent crime, burglary, drug possession or theft is never easy on a college application. If your child is facing difficult juvenile crimes charges, we will work diligently to seek the best possible result on his or her behalf. What you perceive as a minor issue is no longer a simpler matter once law enforcement and the courts become involved. Choose an attorney who you know will work hard to fight for you. Schedule a free consultation with Boston Criminal Defense Attorney Steven J. Topazio. Call or contact us online. The client, a 16 year old High School Student, received a criminal citation for operating to endanger after he crashed his motor vehicle into a tree after knocking over a mailbox and causing property damage. Attorney Topazio instructed his client to sign the back of the citation and to file it with the court within four days so as to preserve his client’s right to a magistrate’s hearing. Requesting a clerk’s hearing prevents the immediate issuance of a criminal complaint which in turn would also result in his client getting a criminal record. Attorney Topazio had his client obtain a copy of his school grades and documentation of school accomplishments; such as his client’s acceptance into the National Honor Society and Peer Ministry, among other things, in order to establish his client’s good character for the clerk at the upcoming hearing. Attorney Topazio met with the investigating officer in an attempt to negotiate a resolution of the matter and further to resolve any restitution matters. Today at the hearing on the application for issuance of criminal complaint, Attorney Topazio established through his client’s medical records that he was not drinking or consuming illegal drugs prior to the accident. Attorney Topazio also established that his client was not speeding or racing when the accident occurred, but rather established that the accident occurred as the result of his client falling asleep at the wheel. 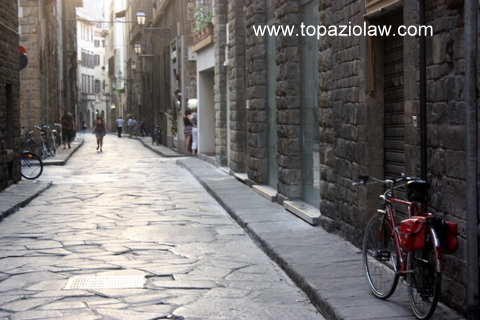 Attorney Topazio was successful in convincing the Magistrate not to issue the criminal complaint, despite the Magistrate’s finding probable cause to believe that a crime had been committed, but rather to hold the complaint open for four months on the condition that his client stay out of trouble and complete a community service project through his peer ministry group at school by writing an article about the dangers and hazards of driving and then presenting it in school. On or about February 19, 2007, the Transit Police Department began an investigation into the stabbing of an individual at the Back Bay T stop who had been stabbed 21 times. By speaking with witnesses and viewing MBTA video, Transit police were able to see a group of six to eight males run from MBTA inspectors. The defendant, a juvenile, who was identified as a member of the group, although not the stabber was charged with attempted murder, aggravated assault and battery, assault and battery with a dangerous weapon, and assault and battery on a joint venture theory, hired Attorney Topazio to defend him. Attorney Topazio was successful in procuring his client’s release following his arraignment on youthful offender charges. Juvenile delinquency cases are criminal cases where the offender is under the age of seventeen at the time of the offense, and after trial or following a plea, could be found “delinquent” instead of being found “guilty”. Instead of going to prison a juvenile can be committed to a “secure facility” within the Department of Youth Services. On the other hand, juveniles who commit serious felonies involving serious harm or the threat of serious harm to others can be prosecuted as youthful offenders. Once the Juvenile Court determines that a juvenile is a youthful offender the court proceedings become public and the juvenile can be sentenced as if he were an adult which includes exposing the juvenile to the possibility of a full adult state prison sentence, as was the case here. Attorney Topazio filed a motion to dismiss attacking the grand jury indictment against his client. Attorney Topazio argued that the grand jury did not have before it any evidence of criminality by the defendant to support the indictments against his client on a joint venture theory for Armed Assault with intent to Murder; Aggravated Assault and Battery with a Dangerous Weapon; Assault and Battery by means of a Dangerous Weapon and Assault and Battery. In order to sustain a conviction under a theory of joint venture, the Commonwealth must present sufficient evidence to prove beyond a reasonable doubt that (1) the defendant was present at the scene of the crime, (2) with knowledge that another person intended to commit a crime or with intent to commit a crime, and (3) by agreement was willing and available to help the other person if necessary. Although unsuccessful in trying to convince the court to dismiss the entire case, today, Attorney Topazio was successful in getting the Armed Assault with intent to Murder; Aggravated Assault and Battery with a Dangerous Weapon; Assault and Battery by means of a Dangerous Weapon counts dismissed and having his client found delinquent as a juvenile on the assault and battery count. Result: Youthful Offender offenses dismissed and client avoids incarceration and an adult criminal record. The parents of the defendant, a juvenile with ambitions of going to college, hired Attorney Topazio to represent the juvenile at a clerk’s hearing after he was stopped by police and accused by witnesses who alleged that he entered to a parked motor vehicle and removed items therefrom while at a local movie theater. Whoever in the nighttime or daytime breaks and enters a building, ship, vessel or vehicle with intent to commit a misdemeanor shall be punished by a fine of not more than two hundred dollars or by imprisonment for not more than six months, or both. Today through unrelenting questioning of the investigating officer challenging the viability of the Commonwealth’s case, Attorney Topazio convinced the Clerk Magistrate not to issue complaints against his client.